Sales Transitions is a team of highly experienced sales performance specialists focused on supporting B2B companies achieve business growth. We work closely with our customers to enable profitable high performance sales. Our 4Performance Framework™ appraisal process identifies fractures that may exist within your sales organisation. We tailor evidence based solutions that help you win and retain more customers. We are laser focused, pragmatic and results oriented. We take client partnerships seriously and, more often than not, we secure new assignments, through client referrals. Our core values are grounded on client respect, transparent communication and continuous improvement – we believe hubris kills companies! We are the principals at Sales Transitions. John is experienced in sales strategy, buy process, sales methodology, deal qualification, construct & negotiation, training and coaching. 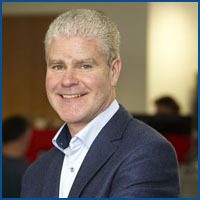 He has 25 years of sales and executive leadership experience and has worked with start-ups and large multinational companies in Ireland, the UK and EMEA. He is fixated on sales thought leadership and passionate about combining the art of selling with the science required to effectively manage a sales organisation. While working with US Sprint, John secured the largest ever deal in Europe, Sterling Publications, while at Siemens he secured a multi-million deal with Marsh & McLennan, and at Avaya, he masterminded a $100M deal with Deutsche Bank. John grew start up, TCL Telecom, to over $25M within 3 years before its acquisition by Worldcom. Barry has 25 years of sales, leadership and executive coaching experience. He knows what it takes to deliver sales growth and business success. He has worked with start-up, established and multinational technology companies in both domestic and overseas markets. Barry spearheaded Nathean Technologies UK market entry and partner channel development securing one of the largest global ERP vendors. He oversaw the growth of Cable & Wireless Ireland’s sales revenues to over € 50 million per annum. He was also head of global sales & marketing and a member of the senior leadership team at US based Aspen Grove Solutions. 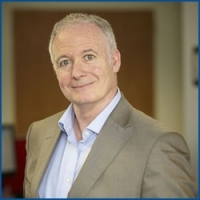 Barry was selected as a business Mentor by Enterprise Ireland to advise businesses on issues relating to developing and executing an international sales strategy. Barry has been awarded an international selling diploma qualification through Dublin Institute of Technology. This Enterprise Ireland gold standard programme is designed to help Irish companies strengthen their positions in existing international markets, access new markets and grow export sales. Barry holds an advanced diploma in executive and personal coaching from Kingstown College.